St Jude the Obscure were playing in the midst of Chester and Getintothis’ Jane Davies was there to experience something mystical and religious. Essentially a huge pub and restaurant straddling Union Canal, Telford’s Warehouse hosts weekly live music nights which have attracted familiar names from across the region such as Spinn, Red Rum Club, Haarm, and the Sundowners, to name but a few. On this particular evening, hosted by Chester’s Mai 68 Records, it was the turn of St Jude the Obscure to pay a visit to the walled city. Support for the evening came from North Wales’ Ennio the Little Brother. The unassuming Ennio produces rap records, but without swagger, bling or profanities. 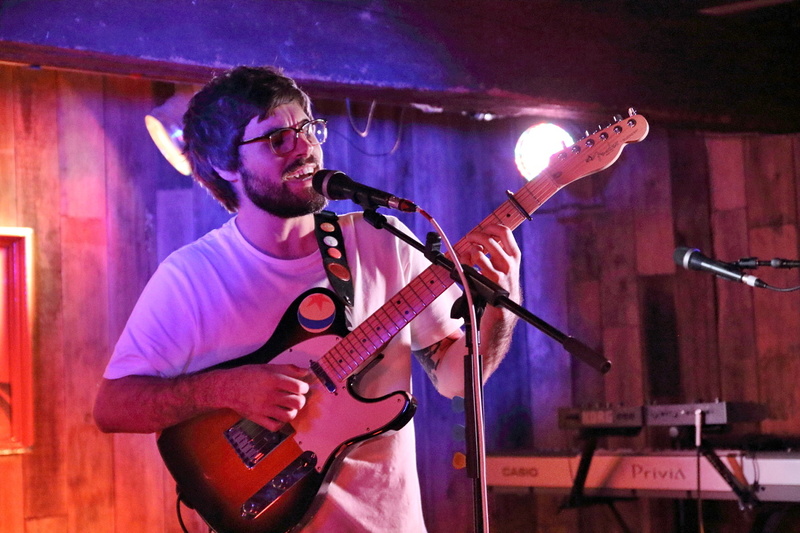 His laid-back style of dreamy pop meets hip-hop quickly won favour with the audience with whom he warmly engaged throughout the set. The standout song for us was Bunk Beds, his first single, featured on Cerys Matthews’ Radio 6 show. We were asked if we preferred taking the top bunk or the bottom bunk when sharing bunk beds, a resounding majority confirmed that they preferred the former. This slightly quirky artist has the gift of taking the most mundane of subjects, like Vimto, talcum powder or odd socks and turning it into musical poetry, like a millennial rap version of John Shuttleworth, but with much better backing tracks. After a short break, St Jude the Obscure took to the stage with an instrumental opener ‘Nice dream’ shifting the previous atmosphere of joviality into one of solemn expectancy. Well known on the local music scene now for a number of years; from their previous incarnations as Bird, then Feral Love and now their current moniker, the audience knew what to expect. 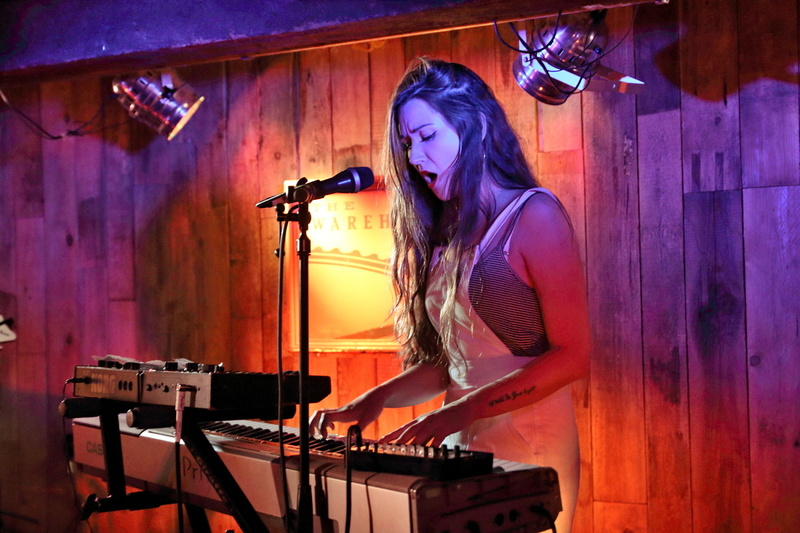 As one punter earlier told us, “She’s like Kate Bush but much better”. He had a fair point. Just as Kate Bush wrote a song about Emily Bronte’s famous novel, St Jude the Obscure have taken their name from a Thomas Hardy novel. Both Kate Bush and Adele Emmas have enchantingly powerful voices and maybe I’m the Wolves mirrors the Hounds of Love in its animal-themed title but that’s where it ends. 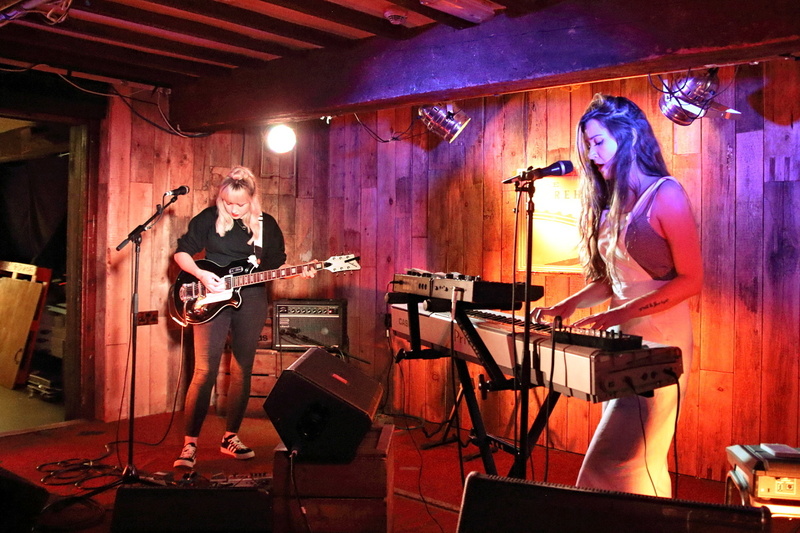 In spite of performing in the back of a pub venue, with the drifting background noise of Friday night drinkers, Adele and Sian Williams manage to leave the watching crowd in awe of their soulful, moody and atmospheric set. With their rolling drum machine beats and soaring vocals, you got a feeling this band has the potential to lift the roof off a cathedral. The standout song of the set was fittingly the anthemic Ave with its hymn-like quality. Throughout the set, the songs in name alone further add to the dramatic effect; Lorca, named after the executed Spanish literary genius and the 4th Century Martyr Dorothea. Without ever hearing their music, it would be easy to assume it might evoke a sense of melancholy, but in many ways, it’s uplifting and spell binding. The set finished with Adele picking up the guitar to play 45 and bring the evening’s proceedings to a close. Having seen this band play on a number of occasions, they were flawless; they need to be seen in a venue without distraction so that the audience can become fully immersed in the music. Having seen them play an amazing set at St Brides Church last December, we may have been spoilt, venue wise, for life. If you are one of the lucky 50 or so people fortunate to secure a ticket for their Birkenhead Priory gig, on August 18, you will fully understand how a venue can combine with music to provide a truly spiritual experience.